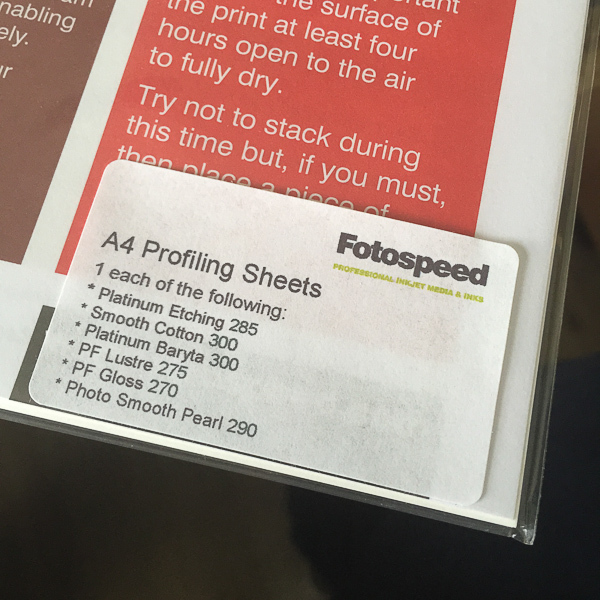 Fotospeed are the only fine art paper company I am aware of who provide us with custom made panoramic papers. I shoot a lot of panoramas in my work, both combining exposures in software (now a feature of Lightroom CC as well as Photoshop, a welcome development) and by cropping into a single image to a ratio which yields an image with the characteristic panoramic ‘letterbox’ format. I am not a lover of really wide angle lenses having grown tired of the distortion they produce. I prefer, when I want to show the wide sweep of the landscape, to reveal it in a panorama. (I know wide angle lenses can be used to inject drama into images, but again, I am finding myself moving towards quieter, less dramatic images in my work and so I have sold on my super wide lenses now due to lack of use. 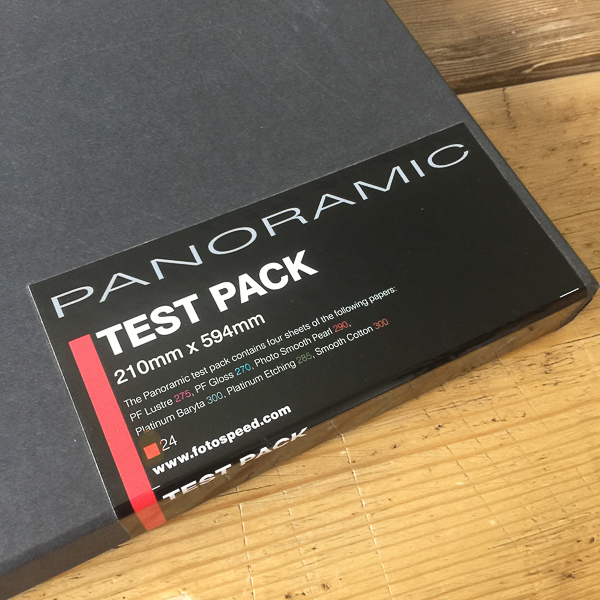 Fotospeeds Panoramic paper range is available in most of its paper types, so you can choose a pack in your favourite paper, or, if you want to experiment, you can buy a test pack which will have four sheets of each of the following papers for you to test. PF Lustre 275, PF Gloss 270, Photo Smooth Pearl 290, Platinum Baryta 300, Platinum Etching 285 and Smooth Cotton 300. 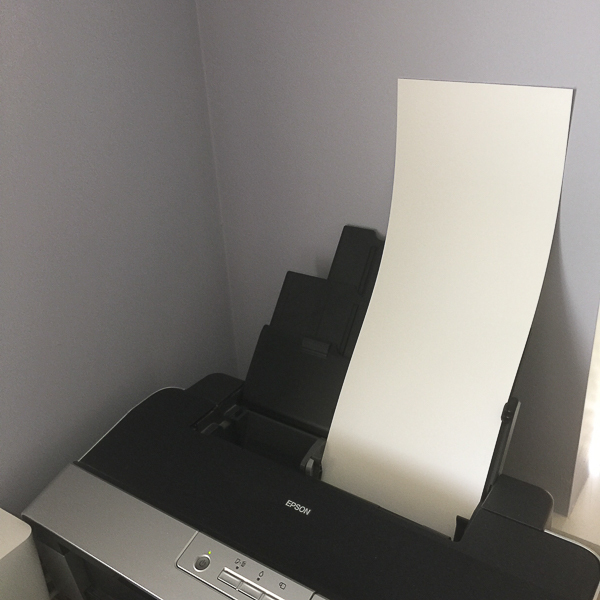 They also include, thoughtfully, in the test packs, a single A4 sheet of each paper so that you can print off their pdf test chart to post to them to create a custom ICC profile for your system. I really recommend you take advantage of this free service from Fotospeed rather than just downloading the generic ICC profiles from their website as the custom profiles will save you ink and make proofing much, much easier. 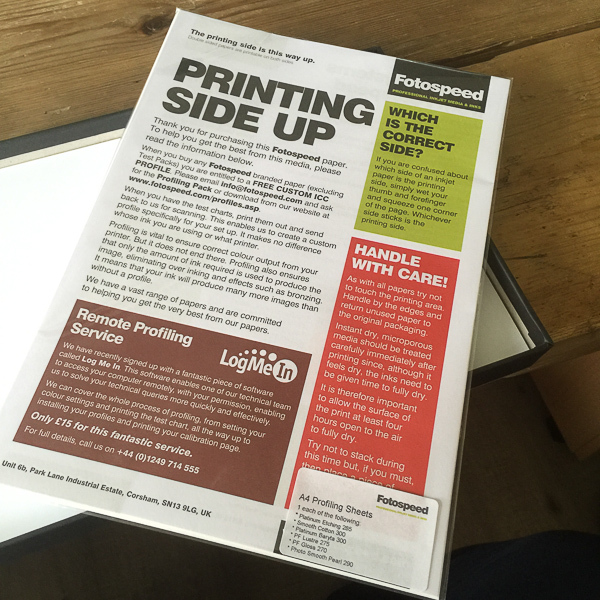 The cost of the A4 print and the stamp is well worth it and will be recovered very quickly in ink savings (as well as the stress reduction when you have a tricky image to print!). I already have custom profiles for the papers I was testing this morning, Platinum Etching and Smooth Cotton 300, two of my favourite Fotospeed papers, and so I was able to get started straight away. 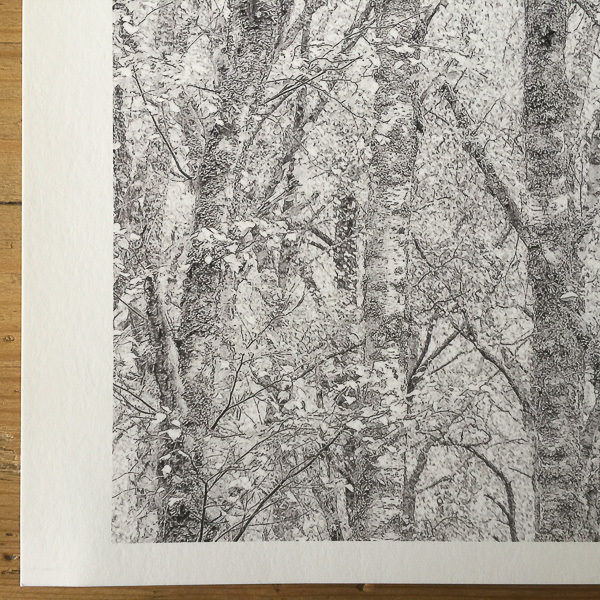 My first print, a monochrome panorama on Smooth Cotton 300, came out beautifully. The print quality was exactly as I would expect from my combination of the Epson R2880 and the Fotospeed SC300 paper. The great thing is not having to print on a full sheet of A3 and then having to cut it down after printing. I often found myself either printing two images on one sheet to use up the paper, the second image not really one I needed but printing it just to feel I was using the paper wisely or just printing one image and then having this odd sized bit of paper left that never really got used in the future. The panoramic paper now gives me a quality option, which saves time, and enables me to just get on and print my panoramas without fuss. 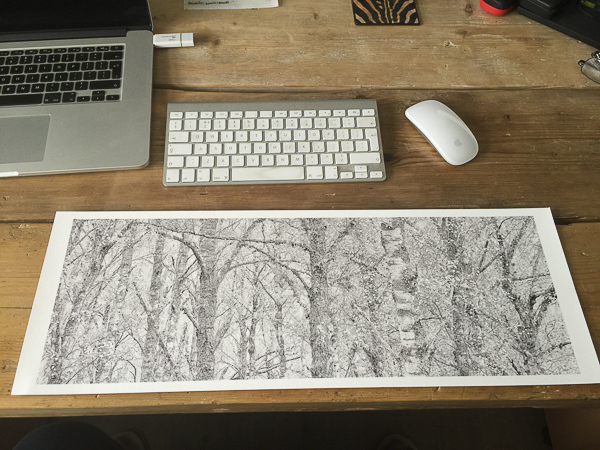 By making the paper 210 x 594mm in size it means you can print panoramas without having to use a roll of paper and the 210mm width means they can be printed even if you only have an A4 printer. You can see the panoramic papers on Fotospeeds website HERE On this page they also have a downloadable guide on how to use the panoramic papers with Photoshop. If you want to learn more about hard and soft proofing you will find some helpful tips and tricks on THIS BLOG POST of mine. I have also produced three 90 minute webinar videos on the whole subject of colour management, calibration, sharpening, soft and hard proofing, paper choice and printing. You can DOWNLOAD THEM FROM MY WEBSITE HERE in both low and high resolution videos, entitled ‘Printing & Colour Management parts 1 to 3’.